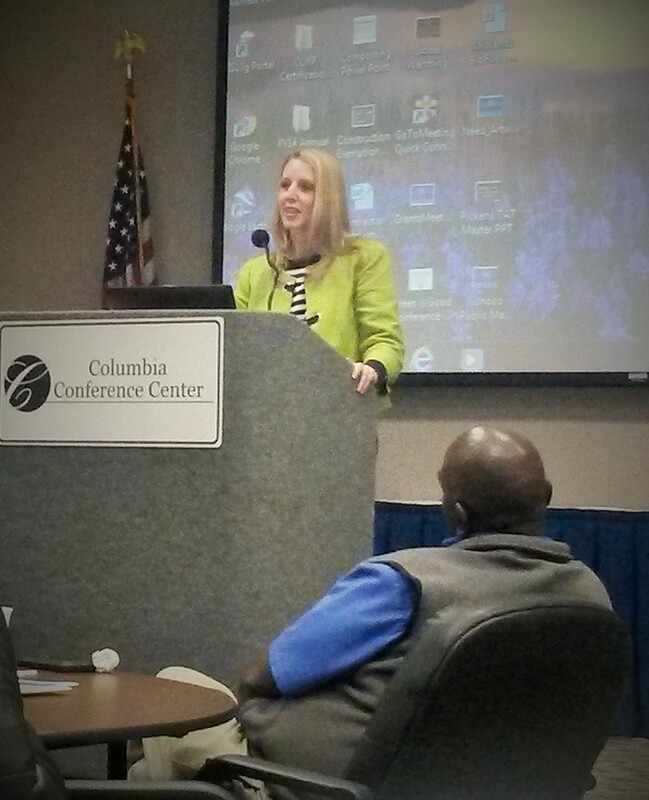 Environmental Assistance Conference | Live Healthy S.C.
Nearly 220 environmental professionals attended the 10th Annual Environmental Assistance Conference on November 4, 2015 at the Columbia Conference Center. The conference, hosted by S.C. Department of Health and Environmental Control (DHEC), provides businesses, industries, municipalities, universities and consultants with valuable information on South Carolina’s environmental regulations, permitting and best practices for compliance. 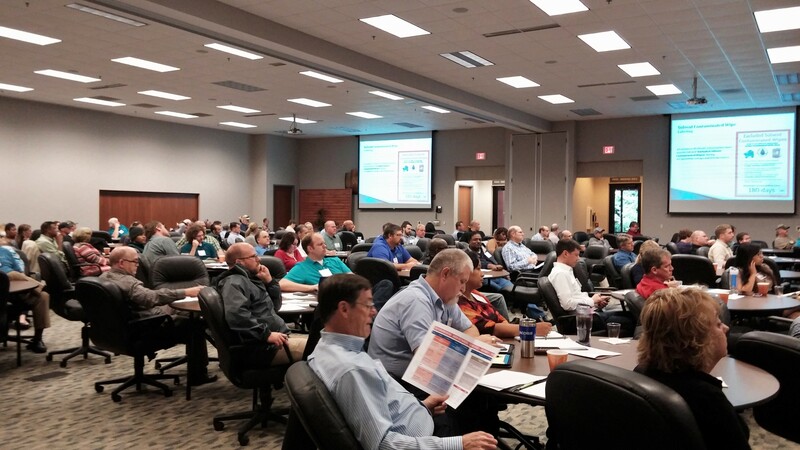 Attendees were able to hear the latest news and updates directly from DHEC staff specializing in a broad range of environmental areas from water to waste management. 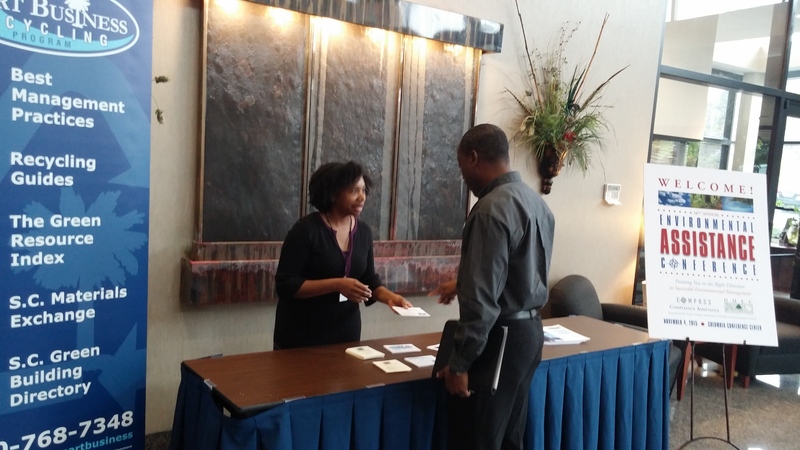 In addition to regulatory topics, attendees also learned about technical assistance and outreach programs that DHEC provides to make it easier for businesses to maintain optimal compliance. The event fosters engagement and discussion between state regulators and those they regulate and provides networking opportunities for professionals to make connections and share ideas. Session topics included air quality basics and permit flexibility, hazardous waste generator categories and regulations, underground storage tank regulation updates, stormwater permitting and tools, what to expect during inspections, and recycling and food waste management options. The conference is designed to be informative for all experience levels with two conference tracks offered this year- one for experienced environmental professionals and another focused on environmental basics for those new to the field. The conference concluded with an update from the Air, Water and Land and Waste Management Bureaus within Environmental Affairs and the keynote address given by DHEC Director, Catherine Heigel. Thank you to everyone who attended and presented at the event! For more information and to view presentation from the event, visit www.scdhec.gov/Environment/EAC. This entry was posted in Environment and tagged compliance, conferences, EAC 2015, Environment, Environmental Assistance Conference, events, regulations on November 12, 2015 by SC DHEC.